Gas and oil fueled boilers provide both heat and hot water to Long Island residents. This is accomplished by the hot steam released as water is heated to high temperatures. Rebmann will install, restore, or remove boilers as necessary. 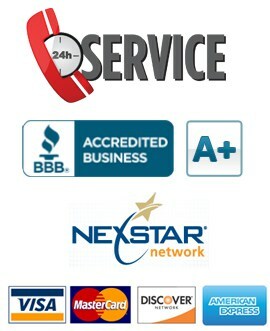 Our licensed and certified technicians want you to feel comfortable in your commercial or residential space. You should always have access to hot water, warm is not good enough. Leaking water: A more obvious sign, home or business owners should be on the lookout for pools of water circling the base of the boiler. A leak, while not entirely detrimental to the overall boiler system, will more than likely increase your utility bills. Leaks mean the boiler will need more oil or gas energy to achieve its heating goals. Smell of gas or oil: An odd smell emitting from your boiler calls for immediate professional attention. This may not only be extremely hazardous to your health, but can cost quite a bit of money in additional fuel costs. Extreme or inaccurate temperatures: As previously mentioned, water temperatures should be hot (not warm) on demand. Any fluctuations in heat or water temperatures could mean a damaged boiler. Hissing noise: Hissing noises could be a sign of uneven water distribution and eventual overheating. It’s just plain old: Boilers should be regularly maintained and adjusted for efficiency in water and temperature heating. If any of these symptoms are present in your residential or commercial building, Rebmann should be immediately contacted, particularly if there exists an inappropriate gas or oil smell. 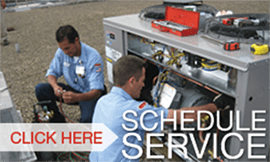 Rebmann makes boiler replacements and maintenance a seamless process from start to finish. Our highly trained and certified staff works with industry leading equipment to ensure that your boiler is safe, meets code, and is efficient. Contact us for information on our Rebmann Plumbing, Heating, and Air Conditioning service contracts to make boiler maintenance convenient and affordable. Rebmann also offers Long Islanders warranties, fixed pricing options, and is on-call for emergency service 24-hours a day. Let us do the worrying for you.